Graffiti is a form of expression traditionally used by young, urban artists. Graffiti artists, or "writers", use public venues to communicate their identity, as well as political and social messages. Once considered a fringe movement, it has evolved into an art form of its own. In this unique and authentic space dedicated to “aerosol artistry” you are welcome to immerse yourself in freeform creativity during the 75-90 minute workshop. 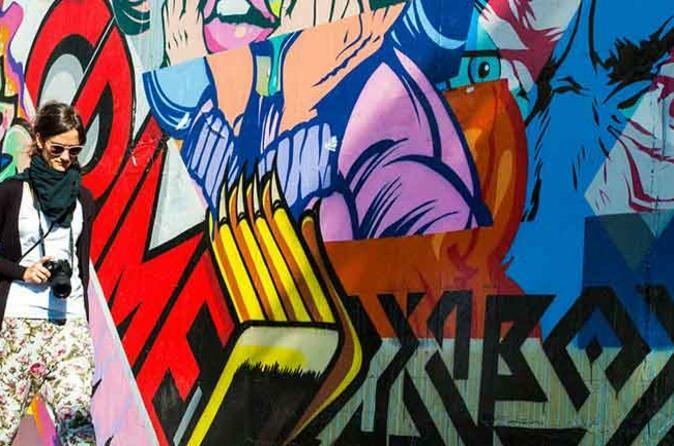 Collaborate with a professional who will explain the history of Graffiti and teach and assist during this fun session.